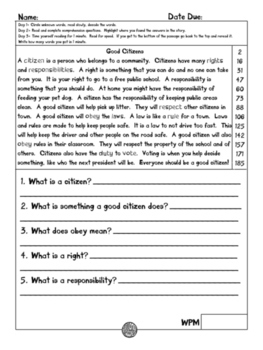 These are nonfiction reading passages about citizens. 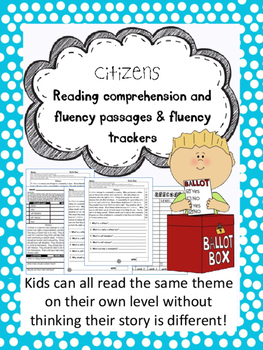 Because I have a citizen passage included in both my second grade and third grade bundles, this actually includes both. 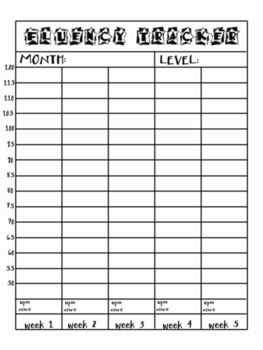 You get 2 passages at 3 levels each. 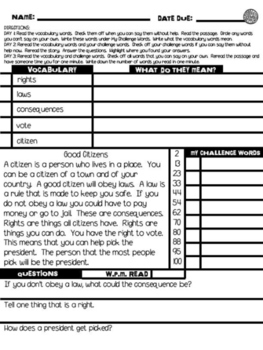 There is also a vocabulary helper for each set of passages. I also have a science passages bundle. Math passages are the next thing on the to-do list.